Jaguar F-Type Convertible Boot Space, Size, Seats | What Car? There’s plenty of leg room if you're 6ft tall, and the low-slung seating position means only seriously lofty folk would risk finding their heads brushing against the fabric roof. However, stowage space is limited to a pokey glovebox and a shallow bin in the centre console – the latter is big enough for a wallet and a phone, but that’s about it. The door bins aren’t very deep, either, so a 500ml bottle of water is about all they can swallow. There are two large and conveniently positioned cupholders in the centre console, though. 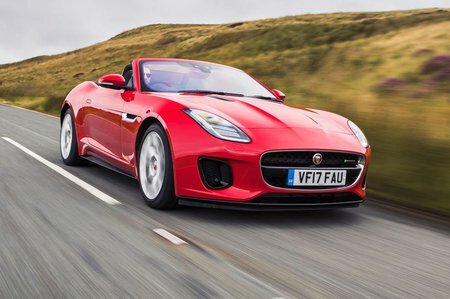 Unlike some rivals, including the 911 Cabriolet, the F-Type Convertible doesn’t have any rear seats, so it’s strictly for two. There is a small ledge below the rear window that’s handy for stowing a couple of coats or a small bag when the roof is up. Fold the top down, though, and this ledge is taken up by the fabric hood, so you’ll have to find space in the boot for all your stuff. The F-Type Convertible’s seats don’t do anything particularly clever. 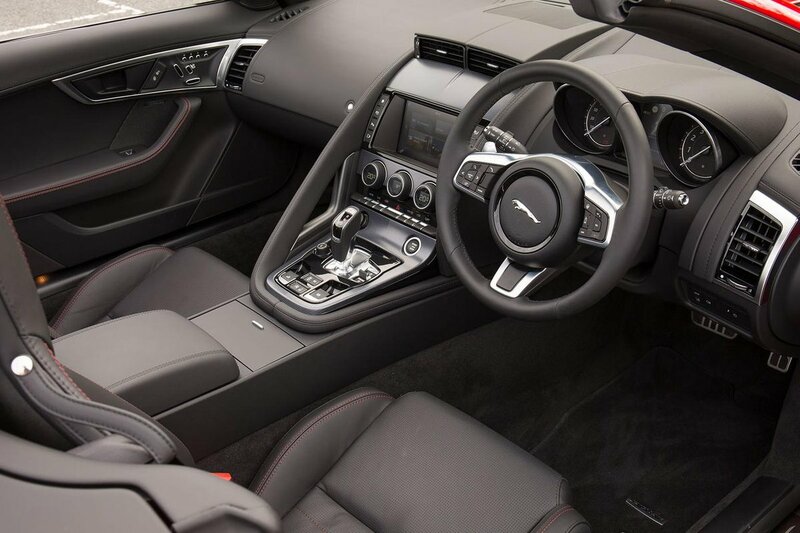 However, they do come with part-electric adjustment as standard (the 400 Sport and V8 versions get full-electric seat adjustment), which includes a good range of lumbar support for you and your passenger. Both seats also feature height adjustment as standard. There may be space a couple of tall adults, but they’ll have to pack light because the boot is tiny and awkwardly shaped – and that’s without the optional spare wheel. Forget about carrying a full set of golf clubs – you’ll be lucky to squeeze in a couple of overnight bags. 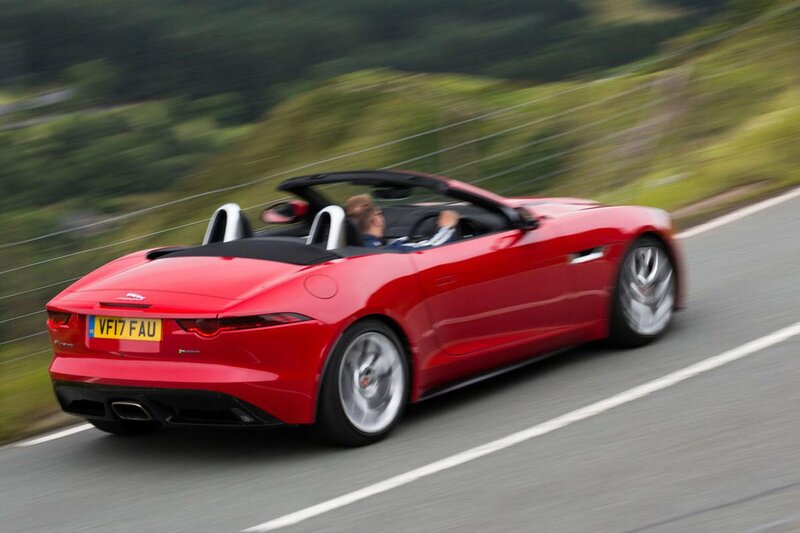 At least you don’t lose any boot space when the roof is down; Jaguar decided against fitting a bulky folding metal roof, and has instead used a fabric hood that can be opened or closed electronically in just 12sec while you're driving at speeds of up to 30mph.